MOSCOW, September 13. /TASS/. Over 20,000 people have been evacuated from shopping malls, train stations and two universities in Moscow after bomb threat calls, the Russian capital’s emergencies services told TASS on Wednesday. "Evacuation has been conducted at 30 facilities, with a total of 20,000 people taken outside. The figure is still being verified," he said. Largely, bomb threat calls were about Moscow’s major shopping malls and three train stations - Leningradsky, Kazansky and Kievsky. Also, students and teaching staff were evacuated from the Sechenov Medical University and MGIMO International Relations University. "Each call is being checked. Emergency services are working. Police dogs will be used to track down the bombs," the official said. Police said that most calls had come nearly simultaneously and were still coming in. "It seems like telephone terrorism and nothing else, but all the calls should be checked up," he said. 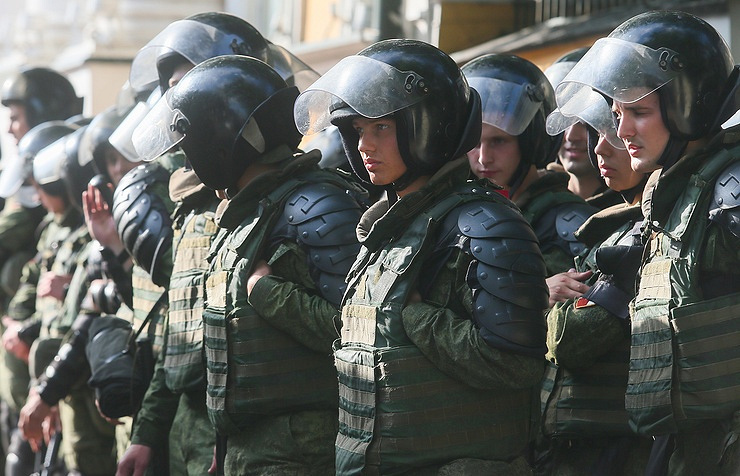 Earlier on Wednesday, Moscow’s emergency services had received about 20 bomb threat calls. According to the city’s emergencies services, about five facilities have been searched by now. The bomb alerts have proved to be hoaxes. Kremlin Spokesman Dmitry Peskov said earlier in the day that the Kremlin does not comment on increasing incidents with hoax bomb threats in various Russian regions. "That is a question to our special services," he said.